----Dec 17-18th, Jan 7-8th, Feb 4-5th---- Sarasota, Florida is the place to sail Vipers December to February! 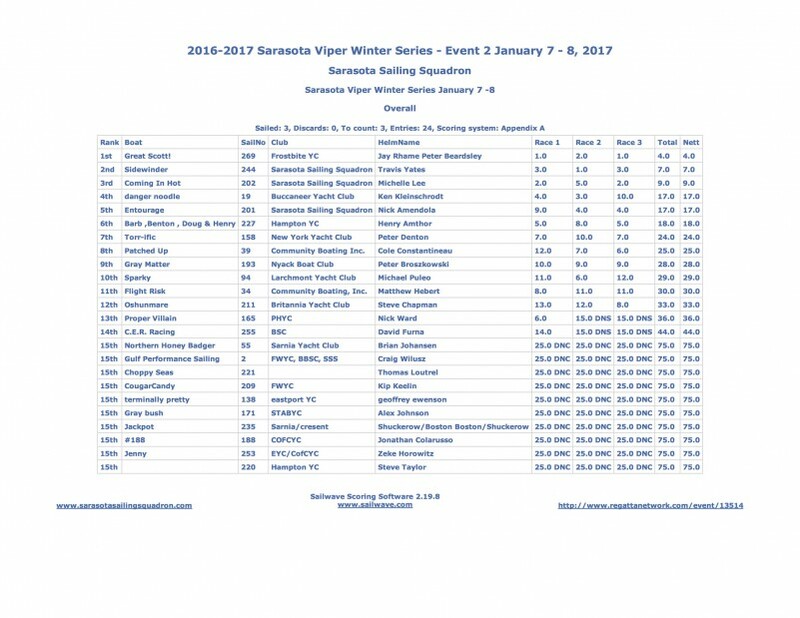 Sarasota Viper Fleet is getting fired up to host a fantastic East Coast Winter Series that will either follow on to you Bermuda event or be the kick off for your winter Viper'ing in the Sunshine State. The Sarasota Viper Fleet will again host a three event series that feeds into the EFG Pan American Championships in Miami. Contact Travis Yates travis@actionquest.com for more details concerning logistics or registration.